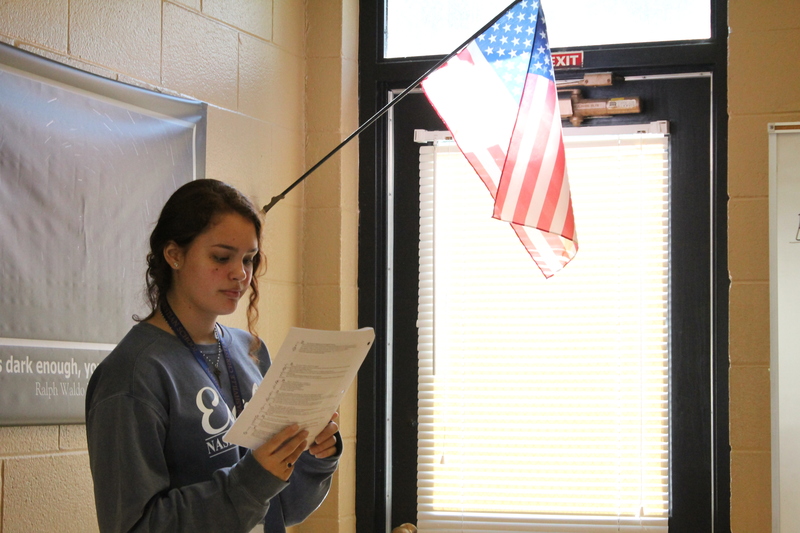 Forgoing some break-time, junior Sydney Cantrell studies for an AP U.S. History quiz. Many of the NCS student who have taken AP US History would most likely agree that it is a very rigorous and challenging class. But hey, you don’t have to take it in college, right? Homework every night, weekly quizzes, outlining chapters, big tests, flashcards, worksheets, papers. Sounds fun, right? Without our teacher, Coach Rob, many of us would probably struggle a lot more. Some students were wary of taking the class, thinking it would be too much for them. For many of these students, it was their first time taking an AP class. “When I first thought about taking AP US history I thought it was a mistake; but I realized that there are friendly students in that class who want to help you,” said Hampton Taron (11th grade). Many students help each other out to get through the work. Although the students in the class have a large workload, many feel that taking that class is worth it and even fun. “APUSH is one of the hardest classes I’ve ever taken, but the content is very interesting. It’s rewarding when all my hard work studying pays off with a good grade,” said Jolie Harper (11th grade). Harper was one of the students who had been in AP Human Geography—so she has had some AP experience. Even if you take an AP class one year, it doesn’t mean that the next AP class will be the same. If you are thinking of joining an AP class, do it. It is very worth it and you will be receiving the support of all your classmates and also your teacher. It will help you in the long run so don’t be afraid to take the chance. You won’t regret it and you could maybe save a lot of money if you pass the exam.